The Digital Research Library of Illinois History Journal™: Chicago's Jitney Cab War of 1950. On August 22, 1950, Chicago Mayor, Martin Kennelly ordered a crackdown on Jitney cabs operating on South Park Way (Martin Luther King Jr. Drive) and other South Side streets. The Jitney cabs were carrying groups of up to six passengers at a time, charging 15¢ per person. Though this was more expensive than the current CTA fare of 12¢, it was significantly less than the meter rate on licensed cabs. 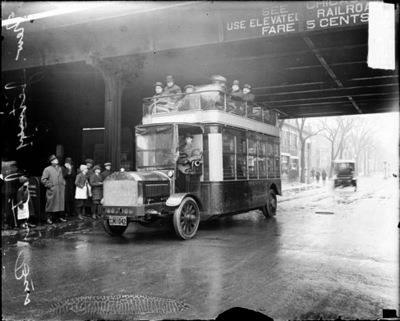 One of the very first Chicago city buses, called a “Jitney.” 5¢ per person - 1915. The Park District held public hearings on how to deal with this problem. The Jitneys were breaking the law. The mayor warned that any drivers operating without a taxi license would be arrested. Kennelly’s warnings had little effect. The Jitneys kept running. Kennelly alienated the powerful South Side congressman, William L. Dawson. Dawson and most of his constituents were African American. Since many white cab drivers wouldn’t serve black passengers in 1950, the local community relied on the Jitney cabs. 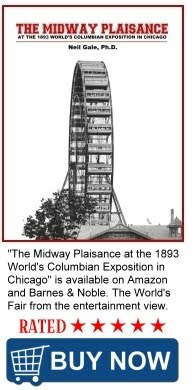 Kennelly was succeeded by a more politically-astute mayor, Richard J. Daley. When a reporter asked him if he was going to do anything about the Jitneys, Daley simply said, “They perform a public service.” And that was that. Unlicensed taxi cabs that service high-crime areas where licensed cabs don't want to go. A small bus or car following a regular route along which it picks up and discharges passengers, originally charging each passenger 5¢. Older Slang: a nickel; five-cent piece. NOTE: Similar to today's Uber service.